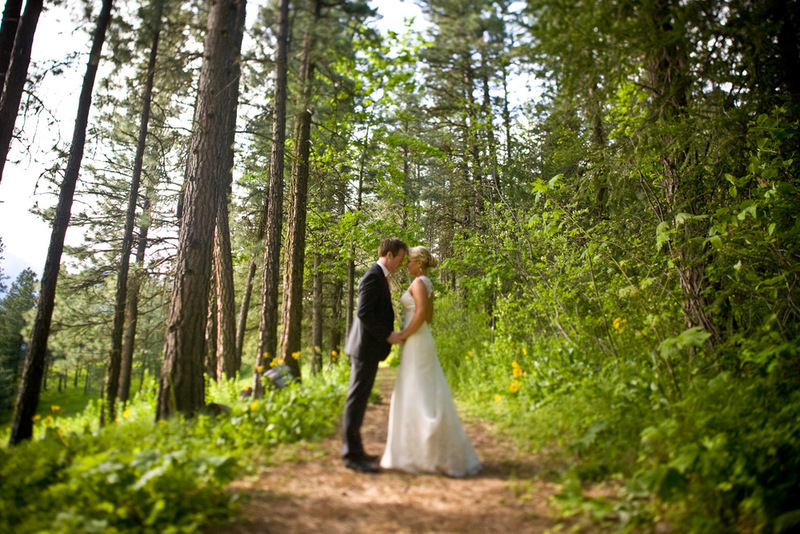 Is Mountain Home Lodge the Right Venue for You? Impeccable, personalized service with on-site bridal coordinator and personnel. Intimate, secluded privacy exclusively reserved for your event - no other guests are present. 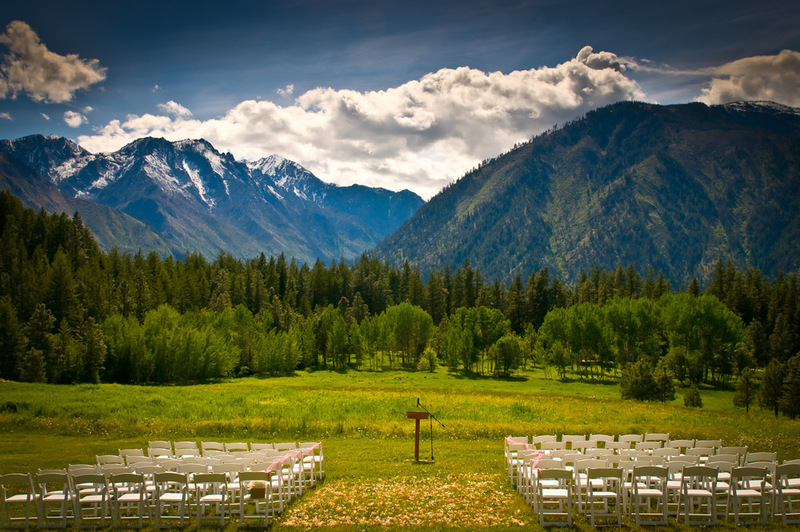 Spring, summer and fall weddings offered ideally for 100 guests or less. We will host weddings & receptions for up to 150 guests for additional fees, but prefer 100 guests or less for our location. Winter weddings are limited to 30 guests or less transported up the mountain via our heated snowcat for an intimate, winter wonderland experience! 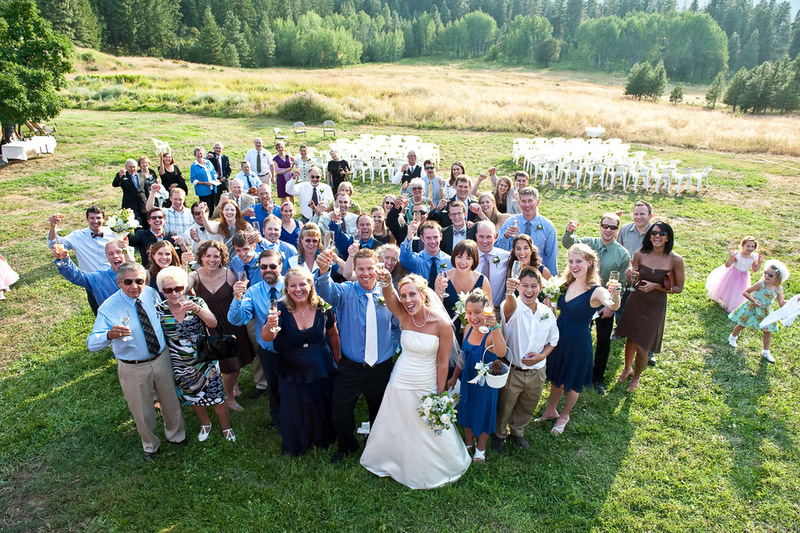 Overnight lodging accommodations for about 24 guests makes it ideal for your family and the wedding party to have a special bond together with invited guests staying in Leavenworth, just under 3 miles below us. If this sounds like a match to your desires, please click on “Pricing & Details” for additional information. Congratulations on your engagement and thank you for your interest in Mountain Home Lodge as the site for your wedding celebration weekend. What could be more ideal than a luxurious, private and secluded mountain hotel reserved exclusively for you and your invited guests? Perfection! To follow is complete information on hosting your event on the Mountain. Please browse our web site for an extensive photo portfolio highlighting the beauty of our four season hideaway in the gorgeous WA Cascades. If we fit your needs, we encourage you to schedule an appointment for a site visit to experience the hotel for yourself. Our wedding coordinator and team are excited to create your perfect wedding! The exclusive use of this magnificent hotel is offered for this site usage fee. This includes: complete consultations with our wedding coordinator, parking, portable restrooms, white linens, tables and chairs, china and silverware for your ceremony and reception for up to 100 guests. Additional rentals such as a dance floor or tents can be arranged from a local vendor for their additional fees. Please ask for a quote if desired. In addition, if an event is for more than 100 guests, you will need to contract directly with a licensed vendor to provide shuttle service to and from the village to the hotel. Since winter guests are transported to the hotel via our snow-cats or special 4x4 van, weddings are limited to a maximum of 30 guests. The site fee is dependent upon the number of guests and your needs. A specific estimate quote can be provided to you after we discuss your plans. In addition to the site fee you will incur the lodging fee. The hotel offers a private, intimate setting to host your family and close friends with their overnight accommodations. We offer 10 private rooms in the Lodge and 2 private cabins, all with either a king or a queen bed and a private bathroom with a shower. If additional beds are needed, a second twin size bed can be added to few of the Lodge rooms. A queen size aerobed can be set up on the floor of the cabin loft as well. Please browse the website accommodations for specific amenities in each room. Cancellations for a wedding group reservation must be received 90 days prior to scheduled date of arrival. If cancellation is received during that time a $500.00 fee will be retained plus out of pocket expenses incurred, if any. If cancellation is not received by the required date, the Lodge will retain all deposits and payments received prior to actual date of cancellation notice. Menu choices and beverage selections with your estimated final guest counts are due 30 days prior to the date of your event with an additional deposit in the amount of 50% of the selected food and beverage. This deposit is non-refundable. Final guest counts must be confirmed by 14 days prior to the date of the event. At this time, the remaining balance as indicated on your final estimate of costs is due and payable. This payment is non-refundable. Should the actual cost of the event exceed the estimate, payment in full is due on the day of departure. Any money paid in excess of the actual final balance will be refunded on the day of departure. Payment may be made via credit/debit cards (Visa, Mastercard or Discover), verified personal check or cash. When booking the hotel for a group event, children of all ages are welcomed. We ask that you keep in mind the Lodge is an adult destination. If children will be attending, we do insist an adult watch over the children at all times. In respect to the privacy of our neighbors, the Lodge enforces a 10:00 pm noise curfew. A two night minimum stay is required; three nights on holidays. Check in is anytime after 3:00 pm; Check out is by 12:00 noon. The Lodge cannot assume the responsibility for personal belongings and/or equipment brought onto the premises by you, your guests or vendors. Any damages to the premises during your visit will be your responsibility and repair and/or replacement costs will be applied accordingly. All food and beverage arrangements are made through the Lodge. Food and/or beverage may not be brought into or removed from the Lodge. Under the direction of our Executive Chef, we will work with you to design the perfect wedding cuisine to highlight the bounties of the Pacific Northwest. Menus are created using local ingredients whenever possible. The following menus are offered for your consideration presented as station service. Further customization of menus is available in your wedding consultations. The menu components follow to whet your appetites! All prices are exclusive of current Washington sales tax and 18% service charge. Actual menu ingredients are subject to seasonal availability. Children ages 4-12 are charged at 25% off the selected dinner price. Create your special wedding dinner from the following selections or discuss with our Executive Chef other ideas you desire. We are happy to work with you to create the perfect reception. One of our local talented Pastry Chef’s will create your requested Wedding Cake for you and your guests to enjoy. Our cakes are not only visually beautiful, but delicious, made from the freshest ingredients to ensure a light, moist cake! The average prices for cakes are $6.00 - $12.00 per person. Pricing is dependent upon your specific flavor, filling, frosting and presentation requested. We are happy to speak with the pastry chef to obtain quote for your desired cake prior to accepting the order. 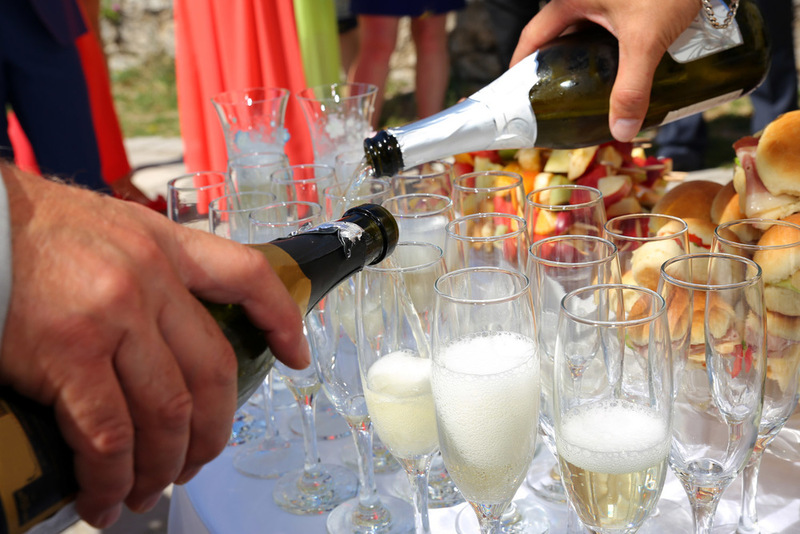 Many wedding celebrations offer a welcome dinner on their night of arrival for their families and wedding guests. This optional event may be a casual BBQ Buffet for up to 40 guests or an intimate, formal served dinner for your immediate family and bridal party. It is an ideal time for arriving guests to unwind from their perhaps hectic travel, for relatives and friends to become better acquainted and for everyone to start the celebration off in a relaxed, welcoming atmosphere. Dinners are designed as a 3-4 hour event. Create your special rehearsal celebration from the following casual buffet selections or discuss with our Executive Chef other ideas as desired for a formal seated dinner. Children ages 4-12 are charged at 25% off the chosen dinner price. 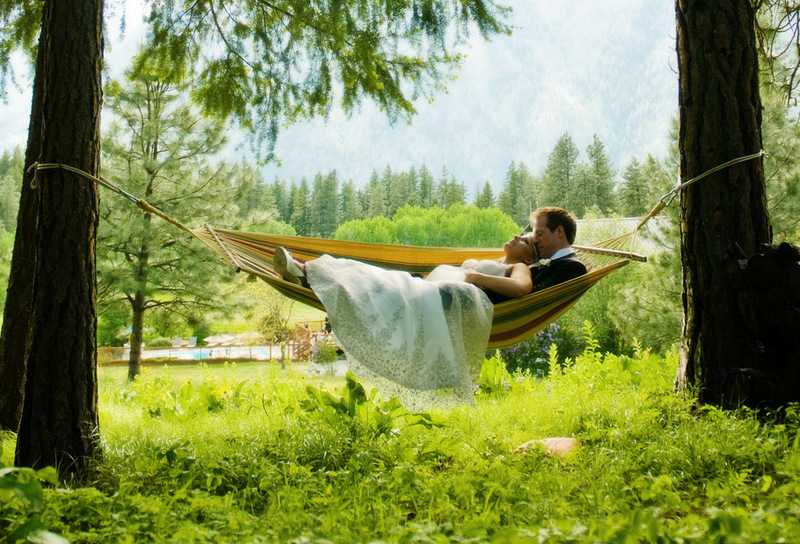 The day of your wedding is full of excitement in anticipation of the fun ahead. Enjoying a casual luncheon hosted here at the Lodge is a great way to spend time with your family and friends celebrating your time together without the added hassle of heading into town for lunch. Children ages 4-12 are charged at 25% off the chosen menu price. The hotel offers wine, beer and champagne for your enjoyment under the licensee guidelines with the Washington State Liquor Control Board. As a licensee, Mountain Home Lodge is responsible for the administration of these regulations. It is our policy therefore, that liquor cannot be brought into the Lodge from outside sources. We do not offer or allow hard liquor on premises. Our staff reserves the right to discontinue serving alcohol to any guest in accordance with WA State Law. Prices and policies are subject to change without notice. All prices are exclusive of current Washington sales tax and 18% service charge. Banquet Beer - Our selection varies monthly, however most products can be ordered in of your event. Discuss with your wedding coordinator your desired brew.